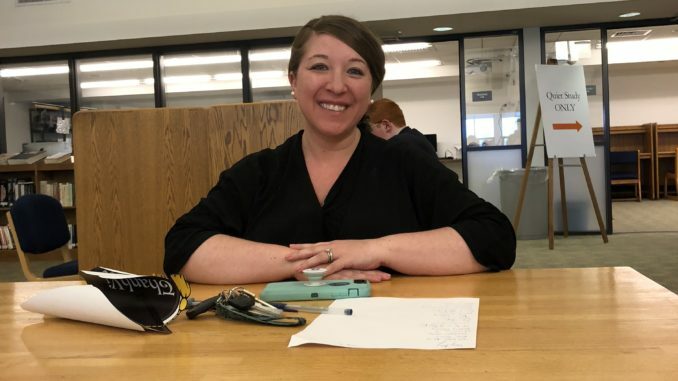 Mrs. Burk is the Assistant Director of Technology, and sort of the “go to” person for a lot of things to do with technology throughout the campus. She has been working at Canterbury for ten years. Some of us know her as the person we go to when we’re in the library and need chargers. While she finds her job fun and interesting, her biggest challenge is staying on top of the rapidly changing world of technology. While her two degrees in education made it inevitable that she would wind up working in a school, technology took her in a different direction from teaching. Mrs. Burk is one of the diehard members of the faculty who participates in the Mini-Thon. “I enjoy my job the most when I’m around the kids,” she said. Before she was married and had her two children, Liam (5) and Evelyn (2), she lived in the Carter dorm where she was a dorm parent. As well as enjoying her job, Mrs. Burk also enjoys being at Canterbury and part of the Saints family. While her office already enjoys a lot of interactions with students, new faces are always welcome. Summer vacation, when the students are not on campus, is the IT’s office busiest time. They are busy setting up all the new technologies for next year’s academic uses, including new technology for the classrooms, laptops for the faculty, as well as troubleshooting all the problems that were identified during the year. Routine checks of all existing technology also occurs.